Over the weekend, I had the chance to sit down with Marvel Studios president and uber-producer Kevin Feige, the architect behind the enormously successful Marvel Cinematic Universe, to discuss Guardians of the Galaxy, which hits theaters on August 1. While you can check back for the full interview next week, the producer shared new details about Marvel's release strategy, how close they are to casting Doctor Strange and how they plan on ending each Phase with an Avengers sequel. Marvel's highly successful Phase One culminated with the release of Marvel's The Avengers, and Phase Two is no different, coming to a close next year with Avengers: Age of Ultron. 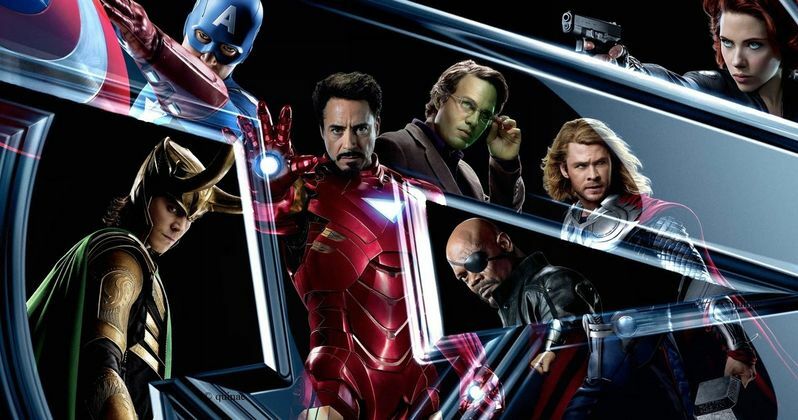 With Phase Three just around the corner, Ant-Man (July 17, 2015), Captain America 3 (May 6, 2016) and Doctor Strange have been confirmed, with The Avengers 3 almost certain to close out the phase. I asked Kevin Feige if they still plan on ending each of their future phases with Avengers sequels, he had this to say. "Yeah, I don't know if it will always be like that, but certainly because that is the template from Phase 1, it makes sense that it will be at least close to that." Marvel has their big Hall H Comic-Con panel coming up later this week, although the studio hasn't revealed which movies it will be promoting. Avengers: Age of Ultron will certainly have a presence, after Mark Ruffalo confirmed last month that the cast is taking a break in production to make the journey to San Diego. Ant-Man star Michael Douglas also revealed earlier this month that he is going to Comic-Con for the first time. But what else will be revealed? Perhaps the actor who will portray Stephen Strange in Doctor Strange? When I asked Kevin Feige how close they are to finding their leading man, he had this to say. "I think we're fairly close, but it's not imminent." However, he shot down any notion that the Doctor Strange casting will be announced at Comic-Con. "It won't be. It won't be. Nobody believes me, but I don't think it will be." Last week, Marvel Studios announced five new release dates for unspecified movies that span from July 2017 to May 2019. Of course, he wouldn't comment on what those titles will be, but he did talk about their release strategy of putting out two films per year, one a sequel to an existing property, and brand new adventure. "I've always said that we like the movies to feel different from one another, so that we can do two movies a year, for years and years and years, and not have people thinking we're getting formulaic or predictable. We've put out four movies in 15 months, Iron Man 3, Thor: The Dark World, Captain America: The Winter Soldier and Guardians of the Galaxy, all the Phase Two movies. I'm very proud that all of those Phase Two movies in 15 months were all successful. Well, this one isn't out yet, so I don't know, but all are very different from one another and very unique from one another, particularly from The Winter Soldier going into Guardians. I think the strategy there, even if it's a reverse-engineered strategy, is putting out one film a year that is a sequel to an existing franchise, that is anticipated and people know about and, hopefully, excited about, and then put out a movie that people haven't heard of yet, that is a new property like Guardians this year and Ant-Man next year, that can hopefully grow and become something else, so we keep doing new things, as opposed to Iron Man 5, 6, 7, 8, 9, 10, 11 and 12." Check back next week for my full interview with Kevin Feige for Guardians of the Galaxy, which hits theaters on August 1.